and all parts in between. 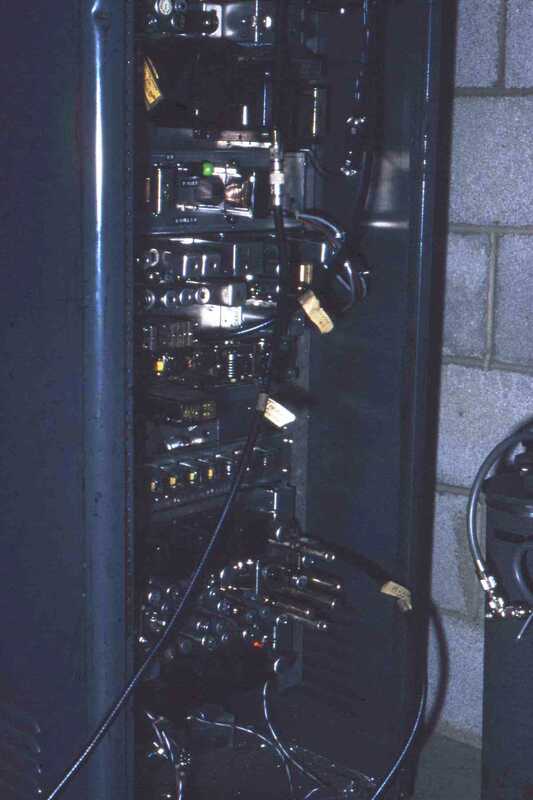 The history of this shared resource is also quite extensive... as it can be argued that the '94 machine is the oldest active repeater on the air in the region! Here is a look back at the path this machine has taken over the years, to become one of the most-used repeaters in the area! 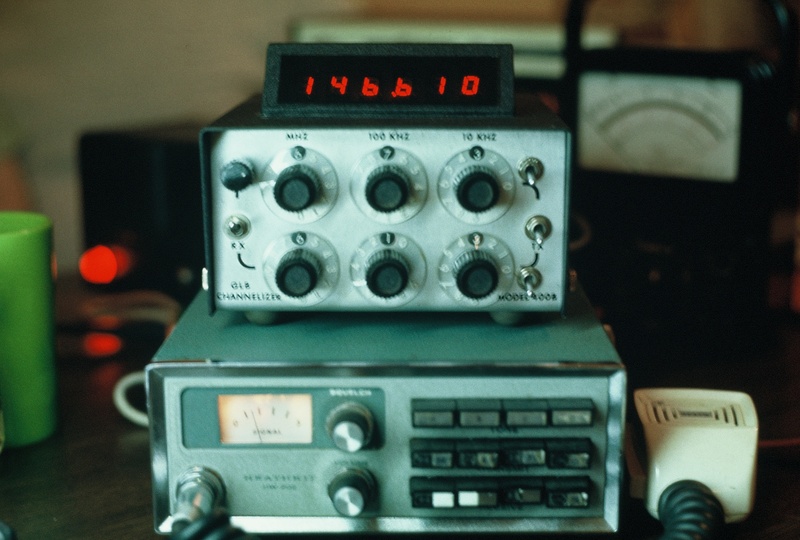 In the 1970's, the FCC licensed repeaters with their own unique callsign. The 146.94 repeater held the callsign of WR4ADF. This photo is one of the first 444.300 repeater. 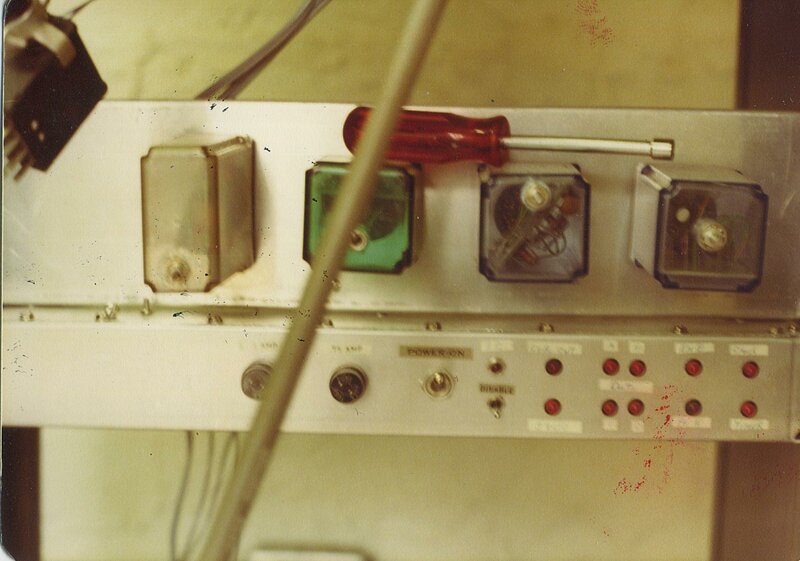 The transmitter is using a 2C39 tube. and the transmitter is to the left. looking into the repeater cabinet. the founder of the 146.94 repeater. 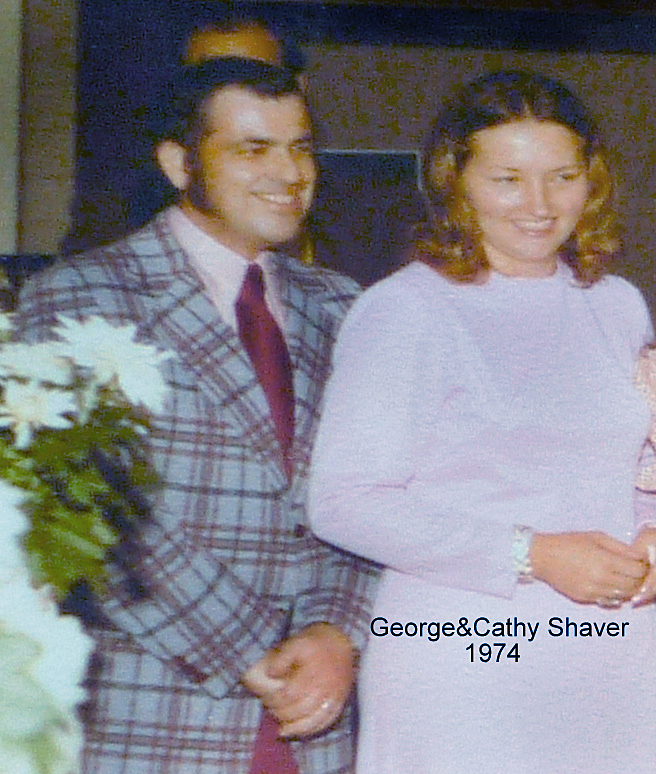 was taken at Bob Scott (WB4RJE)'s wedding. tuning either the .94 or 444.3 repeater. 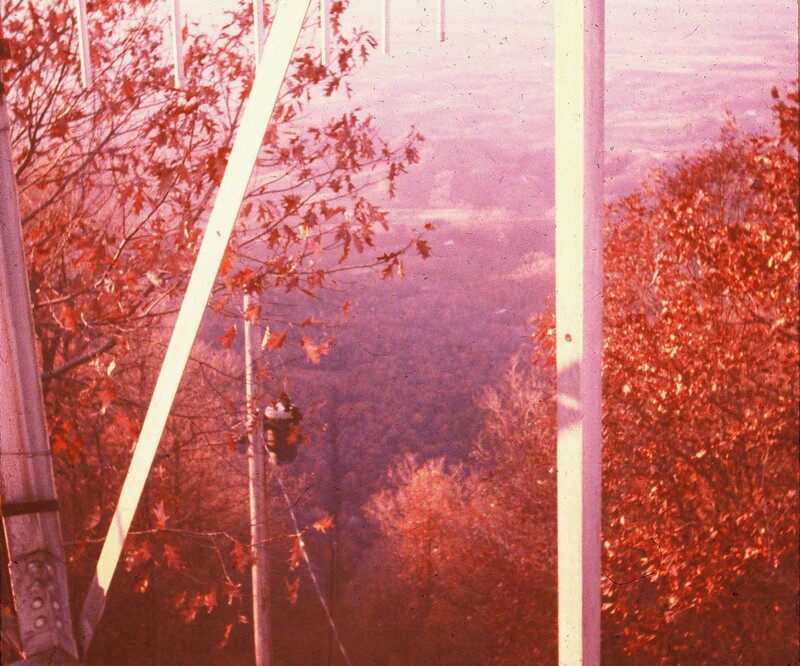 This is a picture of the K4HXD (later licensed as WR4ADF) antenna system. The .94 antenna is at the top, and one of the six meter repeater antennae is mounted on a side mount bracket. 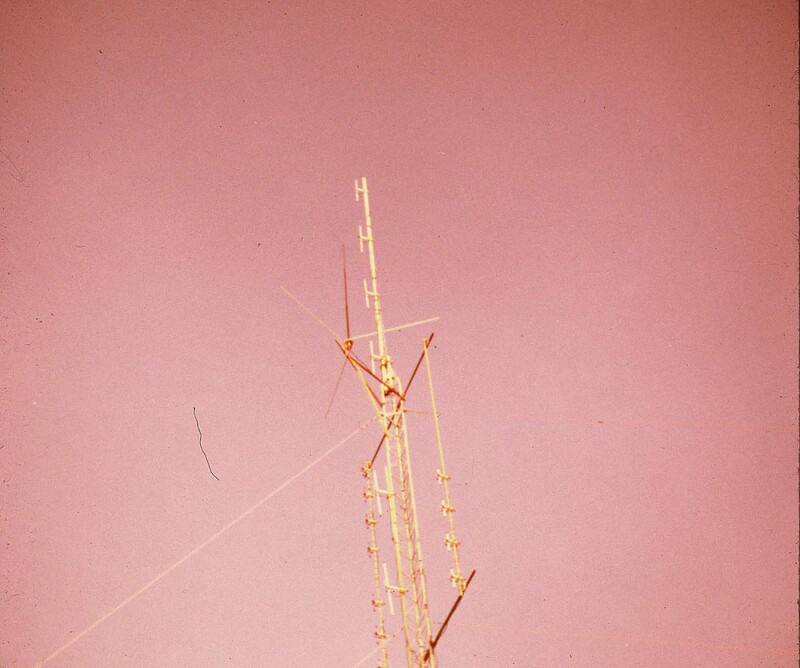 The 440 antennae are to each side, and another VHF antenna is below the top of the tower. 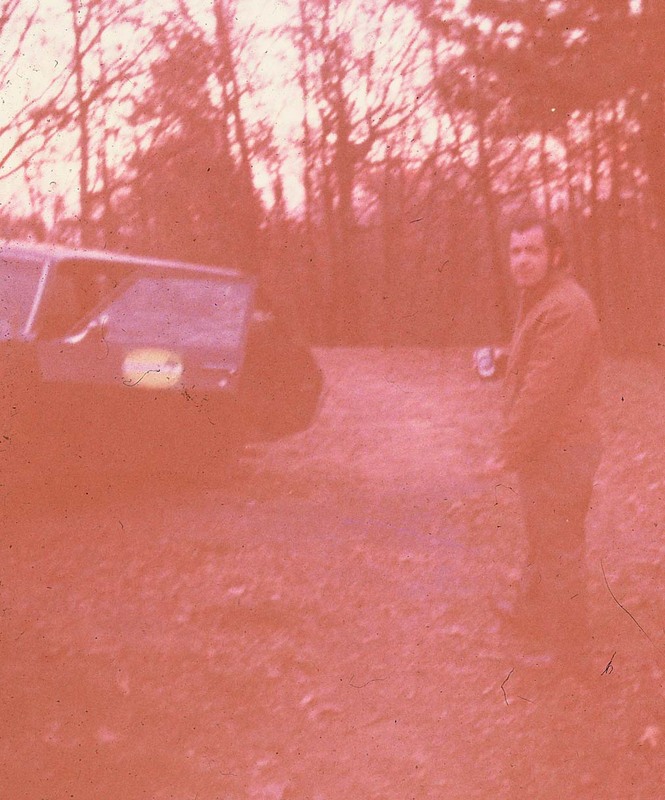 Perhaps George had .94 on split antennae in its early days. 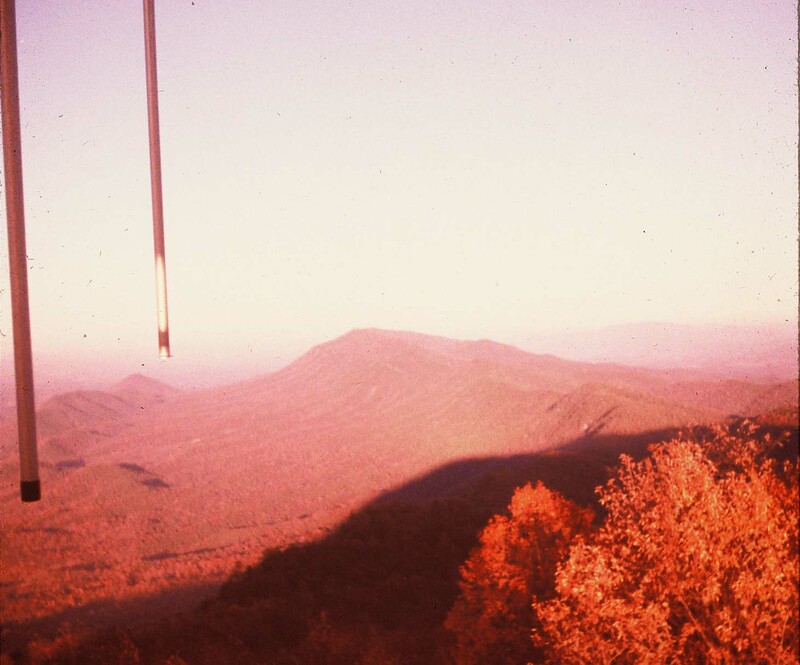 This a view of the forester's cabin atop the Chilhowee Mountain site. 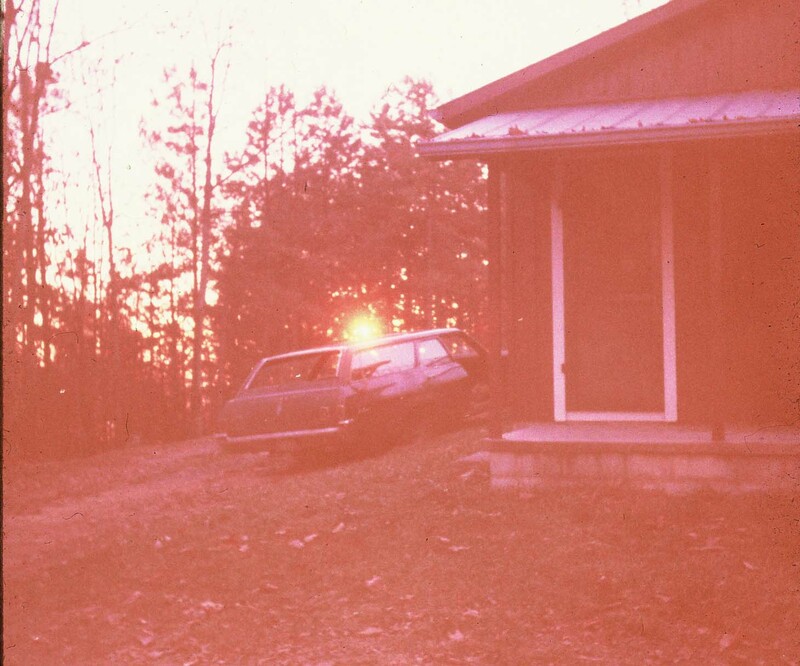 Unfortunately, this cabin was later destroyed by vandals. George (K4HXD)'s state issued station wagon is on site. Notice the sun peeking thru the trees! It must have been late in the afternoon!! 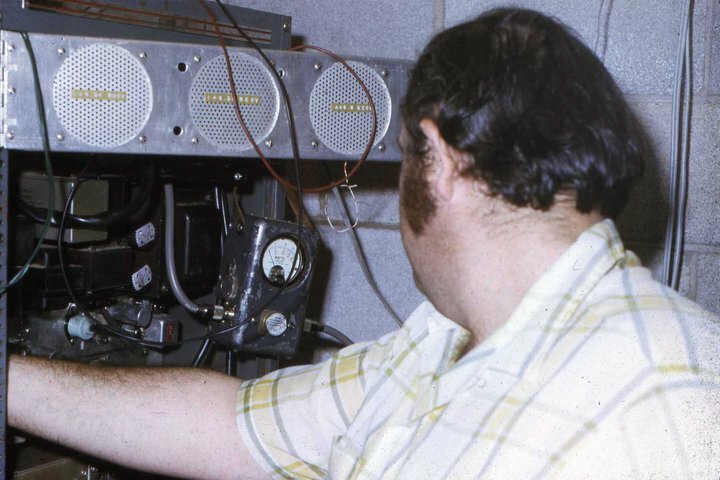 Once upon a time, there were no such thing as readily programmable radios!! 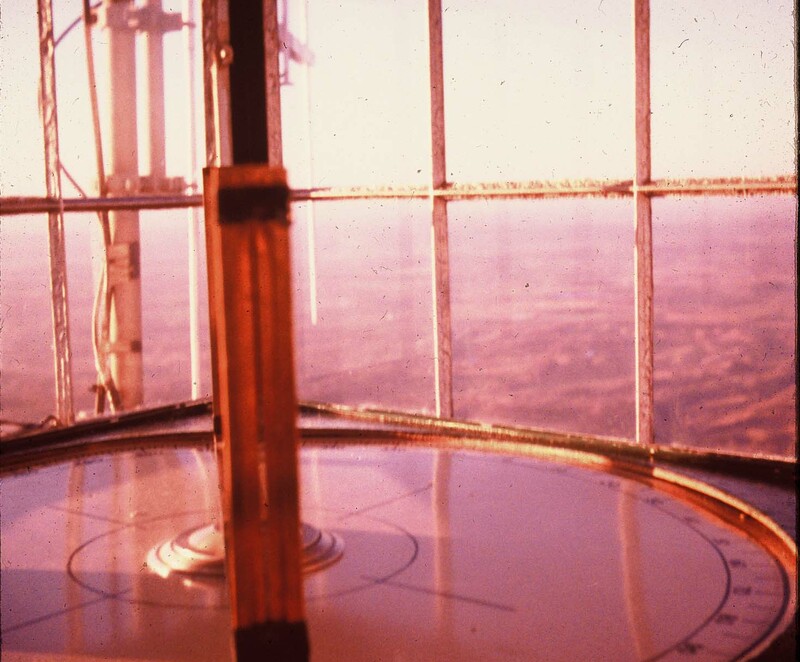 To use your local repeater, you had to order crystals for your favorite local repeaters. 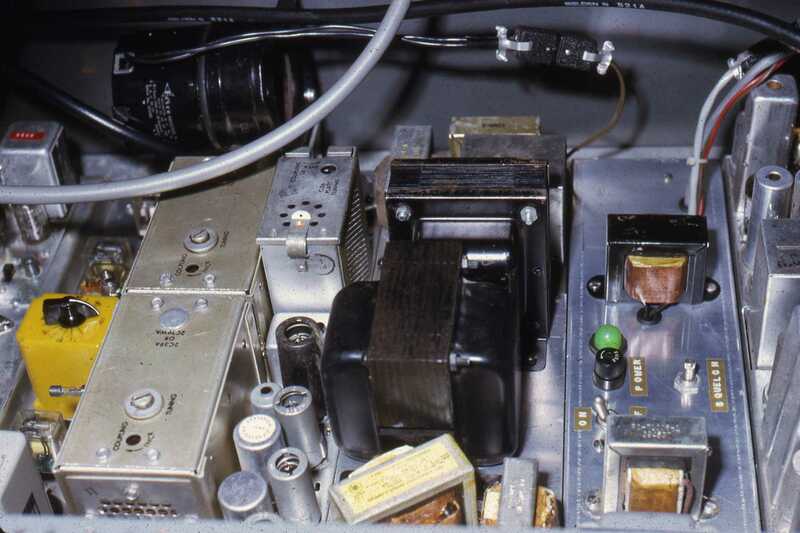 In this undated photo, an external "channelizer," made by GLB electronics, has been added to a Heathkit transceiver to allow it to be tuned to repeater frequencies. Note that the synthesizer is on 146.13/73, but the external display says 146.61. Interesting! And as a side note, there was no "scan" in those days..you monitored one repeater at a time! "new" DTMF control decoder at the top of the cabinet. 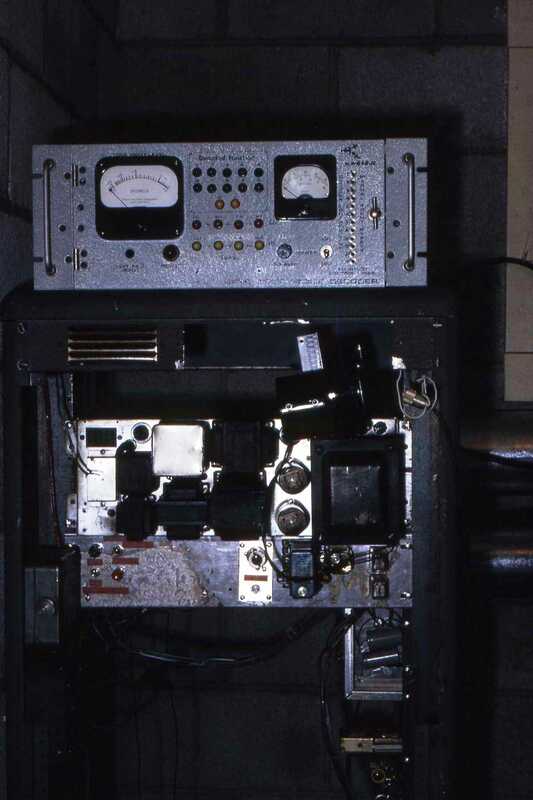 The decoder was designed and built by Bob Scott, WB4RJE, who has supplied many of the 94 history photos that you see. as it was setting in George's basement. on the shelf in the background! 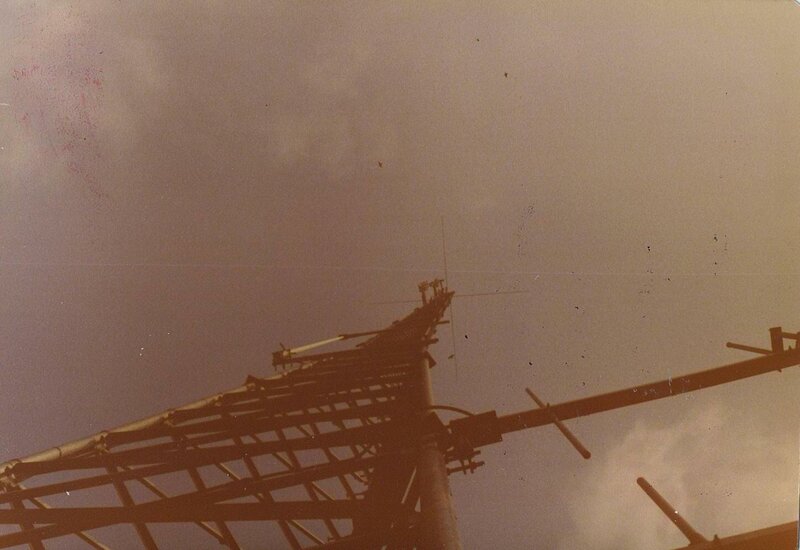 This photo shows the second generation of the 146.94 repeater, which lived on a tower site on Chilhowee Mountain. 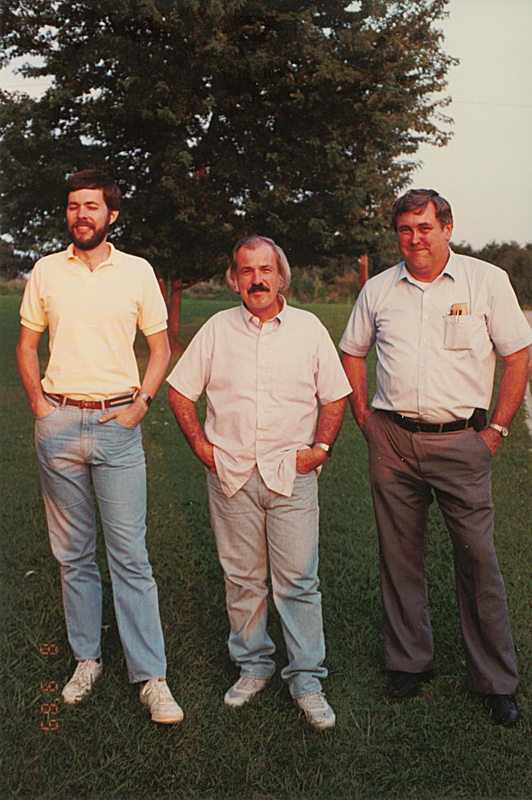 The site was owned by Communication Specialists, where George and Tim worked together for several years. The receiver was a Motorola “Motrac” solid state receiver, and the transmitter was a Motorola tube type vintage transmitter. 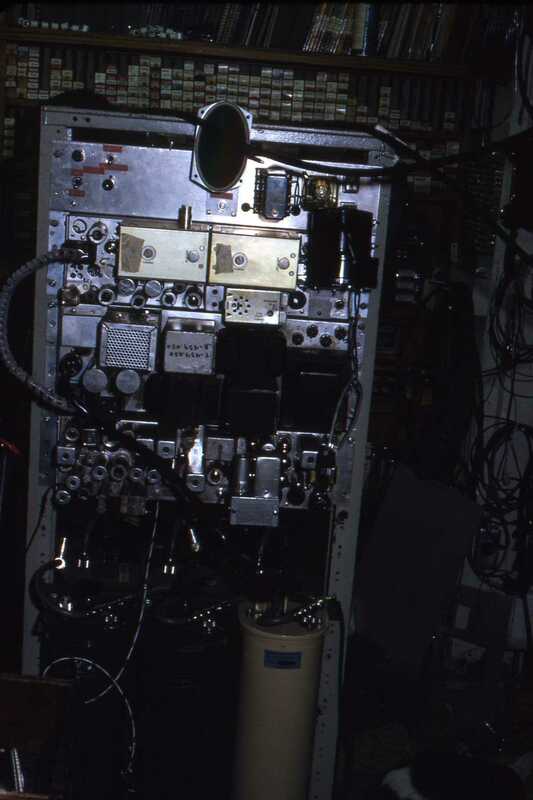 The duplexer on the side of the repeater is still in use today, as is the homebrew control panel in the center. 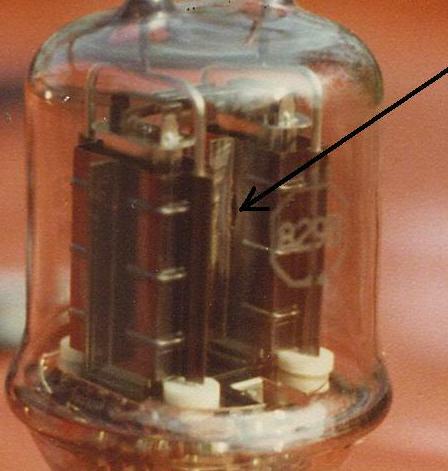 This is a photo of an RCA 829B tube, removed from the 146.94 transmitter. The arrow is pointing to the cause of failure with this tube...there is a HOLE in one of the "plates" of the tube!! 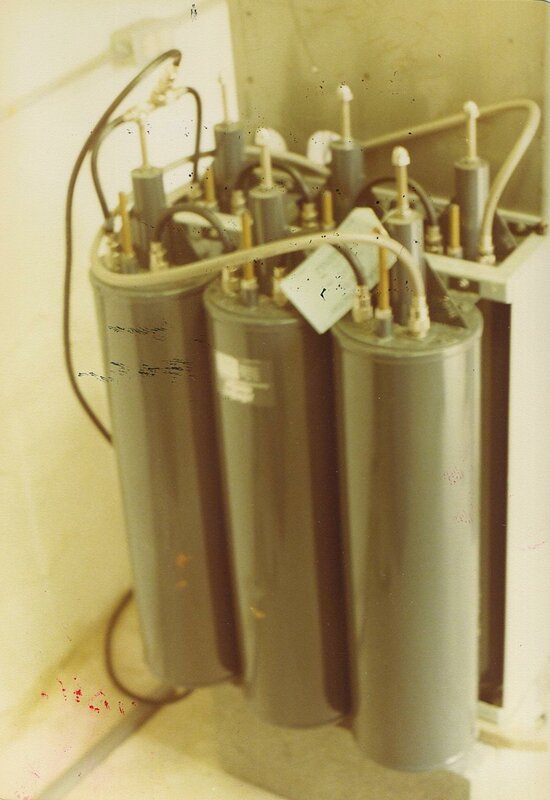 This tube was actually two tubes in one glass enclosure for higher power operation. It was melted open by the continuous duty use that an amateur radio repeater delivers every day! Now, most all PA units on repeaters are solid state. Aren't we glad? 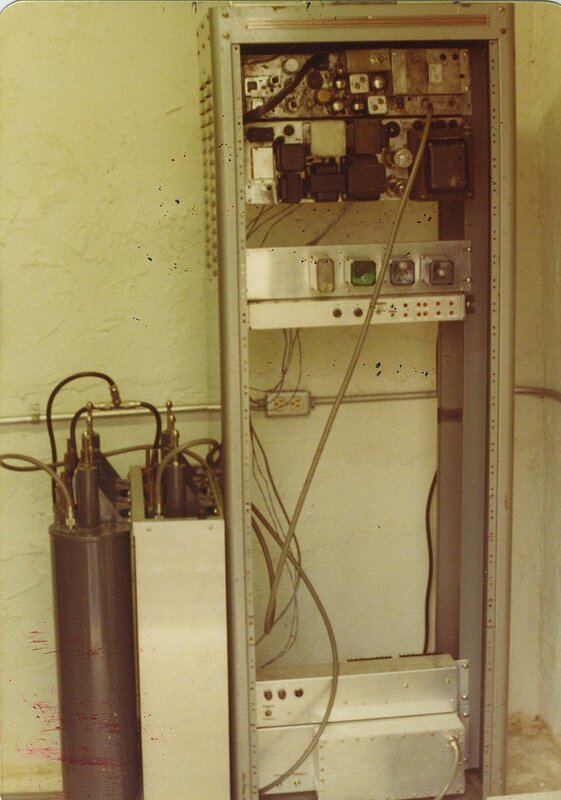 This is a photo of the duplexer used on the 146.94 repeater in the seventies. It is still in use today. It has only had one failure since I acquired the repeater in 1985. 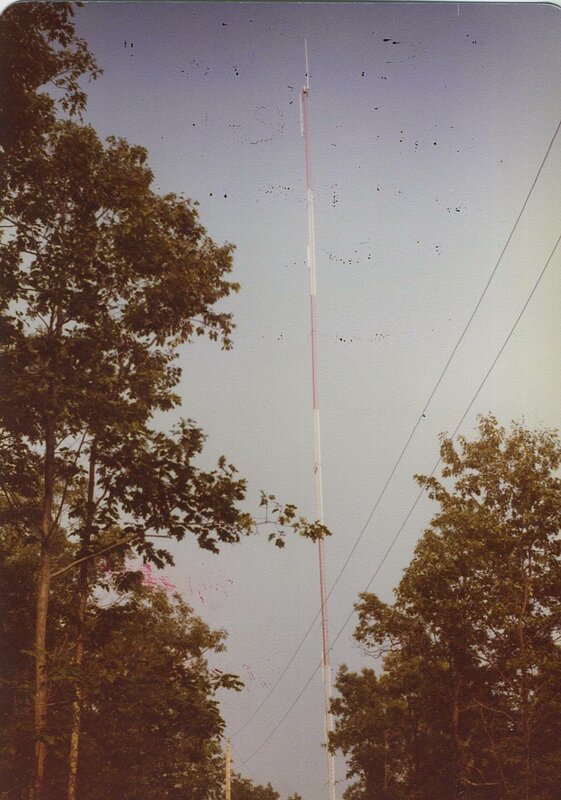 This is a photo of the tower where 444.300 lived until I acquired it from George around 1989. This tower has since fallen. Incidentally, I moved the 146.625 repeater off of this site in the summer of 2004. Here's a photo of David, K4DR, George, and Bob, W4ZTV.